SoftCo10 is the single, secure platform that is deployed either on-premise or on the cloud. SoftCo10 is a fully-configurable base on which the capture, workflow, archive, analytics, and integration modules are built. These modules are incorporated in SoftCo’s innovative solutions in the areas of P2P, AP, AR, and ECM. SoftCo’s capture technologies automate data and document capture, validation, and posting to business systems. Information is captured in various formats (paper, email, PDF, XML, EDI,) from mobile or desktops. Intelligent Character Recognition (ICR) electronically reads data from scanned documents to reduce key entry. SoftCo Portal and email collector facilitates the capture of data, forms, and information for processing. All documents and data are held in SoftCo ECM, a software-only Content Addressed Storage (CAS) system that simplifies the management and protection of critical information over its entire lifecycle. SoftCo ECM is BSI certified, and provides single-instance and tiered storage. All information is stored in compliance with business and regulatory requirements, and digital fingerprinting provides assured content authenticity. It manages various lifecycles and utilizes secure digital shredding to ensure content is deleted after the required length of time. Storage is completely scalable, allowing for flexibility as business requirements change. 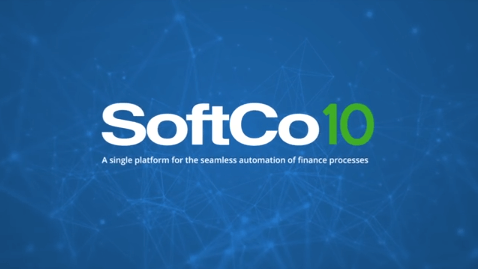 SoftCo10 delivers full workflow automation that is completely integrated with the company’s line-of-business systems – including Active Directory (AD), access control, client applications, APIs, and documents. Workflow incorporates complete audit history, as well as a comprehensive rules engine which is configurable to include dynamic rules and multi-entity approval hierarchies, supporting the most complex of processes. 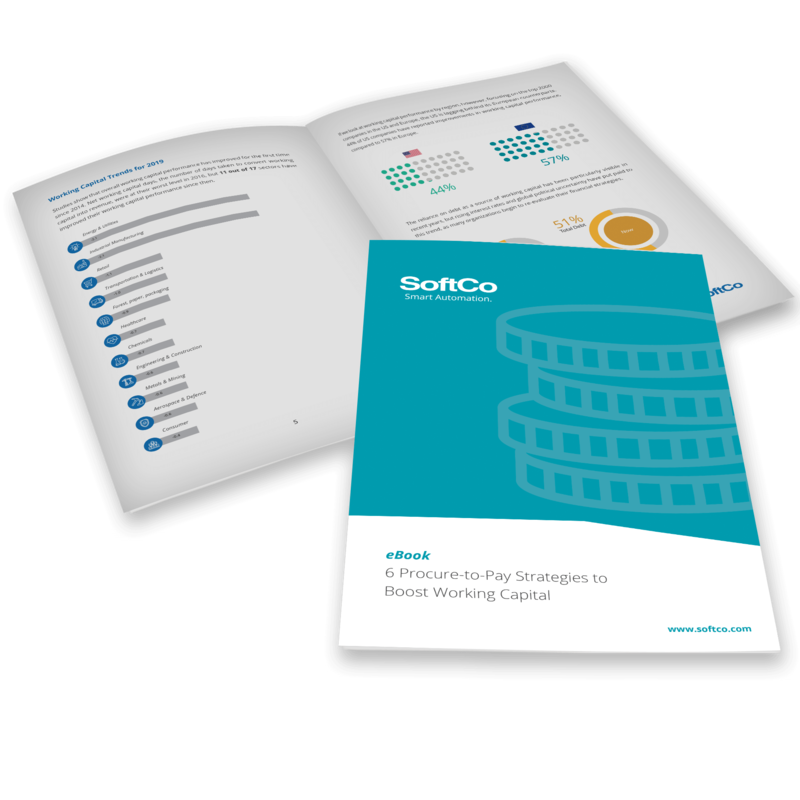 SoftCo10 delivers real-time analytics which includes detailed tailored reports and KPIs. With dynamic dashboards, reporting capabilities are significantly improved; users have the ability to control data visibility in order to easily manage KPIs for data-driven decision making. 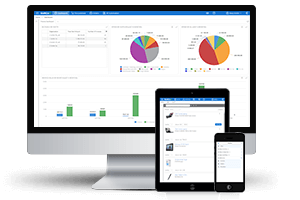 Users can compile reports quickly and easily without having to create individualized dashboards from scratch. SoftCo has over 26 years of experience seamlessly integrating with all major finance systems, databases, and ERP systems via SoftCo Connect standard adaptors. To date, SoftCo has integrated with over 100 different systems. The ERP system remains the master record for key financial information such as GL codes, cost centers, and product IDs while SoftCo financial solutions extracts and posts data back to the ERP system in real time. SoftCo10 is deployed on-premise or on the cloud. Each solution incorporates standard configurations by ERP and industry type, and allows for further quick and easy configuration to meet company-specific requirements if necessary. Because SoftCo10 is largely pre-configured to best practices, the deployment period of both standard and tailored solutions is minimal. SoftCo10 provides complete mobile capabilities, allowing professionals to complete work seamlessly on all devices - smartphone, tablet, and desktop. With a fully optimized mobile interface, it’s quick and simple to perform actions, request information, and monitor your account. Tasks such as sending approval or rejections for requisitions and invoices can be easily performed on any device no matter where users are.